Survive in the night from the things full of spite. 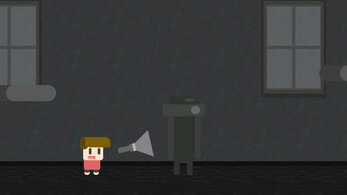 A platformer about a boy traveling around the house, in fear of everything. Shadowy figures roam the halls until you shine a light upon them, revealing their true form. Move around with WASD, turn on and off you flashlight with the space bar, and point at object with the flashlight using a mouse of trackpad. You can slowly climb up walls and objects by holding up W and either D or A based on the position of the object and player. We recommend downloading the game rather than playing in browser do to a bit of browser lag, but that is up to you. A trackpad is also recommended, making control easier, but the game still works perfectly fine without one. If the player ever starts jumping super high or running super far in the web version we recommend downloading either the Mac or Windows version. Check out Spaceface14's devlog at https://trello.com/b/I3fQsJX2/game-jams. The jumping is also sometimes laggy on the web version, making the player jump super high or super far. 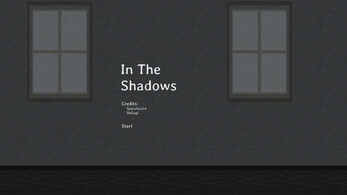 If you were playing the web version then try downloading it.